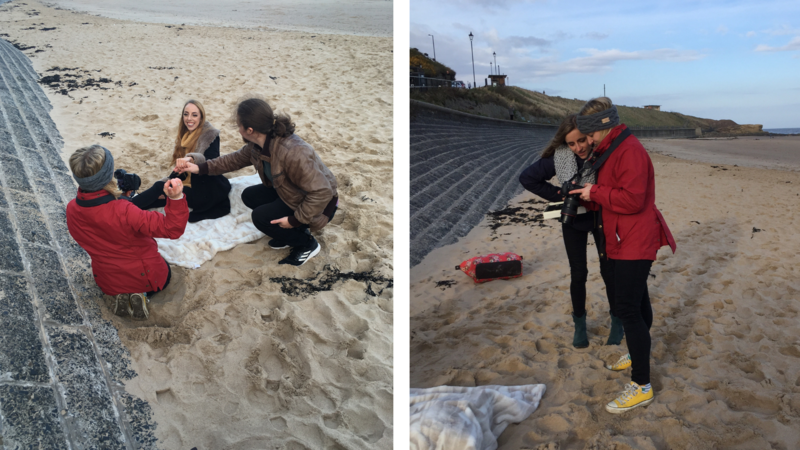 A little behind the scenes post all about our chilly November day photo shoot at Tynemouth Beach. 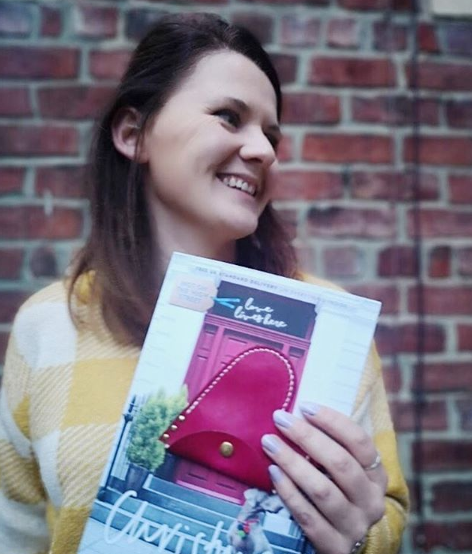 A little introduction to one of the amazing artists from the Northern Gift Box Collaboration, Tori Lo Designs. An introduction to one of the amazing artists of The Northern Giftbox Collaboration, Becky of Raw Pots North East. 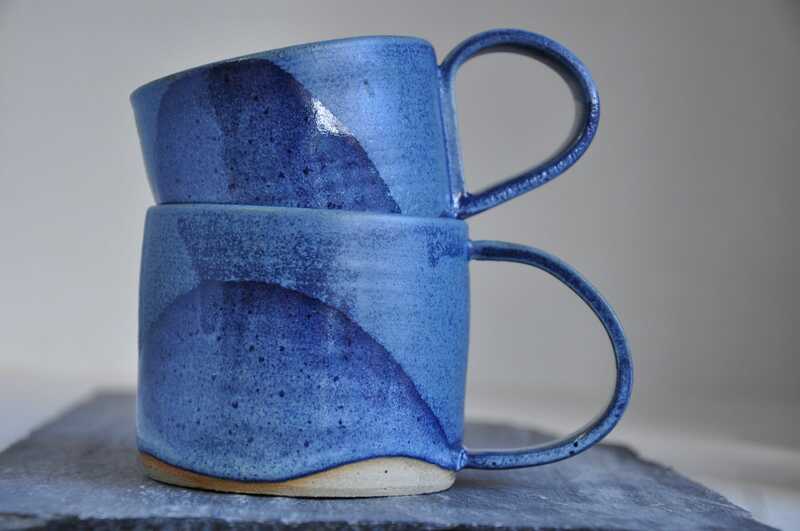 Read more about Becky's amazing hand thrown ceramic glazed crockery. 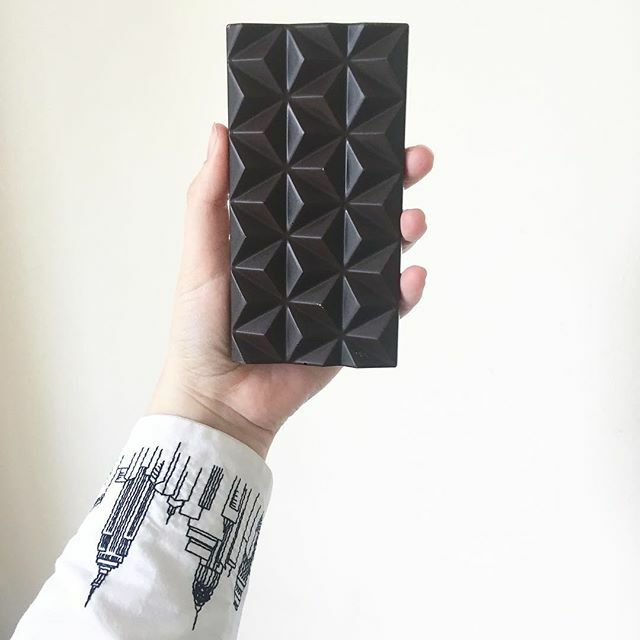 An introduction to one of our amazing collaborator's in The Northern Giftbox, Abaissé Chocolatier. Artists based in Newcastle Upon Tyne have collaborate to create the ultimate thoughtful personalised gift sets. 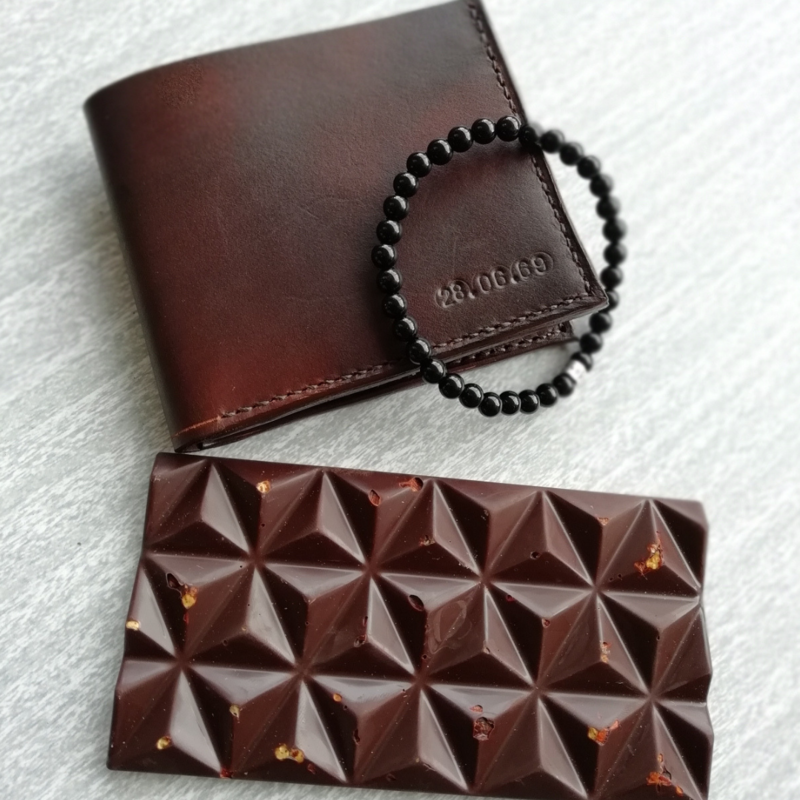 Including handmade geometric chocolate by Abaisse Chocolatier, personalised silver jewellery by Emma Hedley, ceramic hand thrown mugs by Raw Pots, handmade leather personalised wallets by Tori Lo, giftwrapped in personalised printed boxes by Sickstyles! Perfect thoughtful Christmas gifts for all the family. 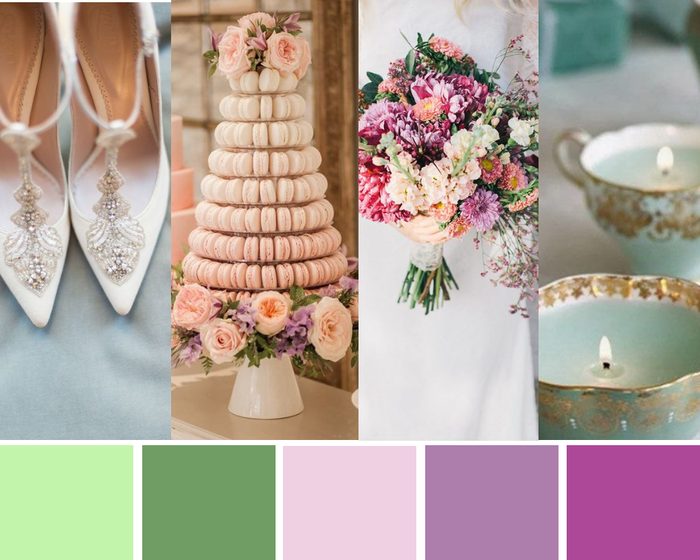 Bold contrasting colour palette of blue and pink - Mediterranean inspired decor elements. 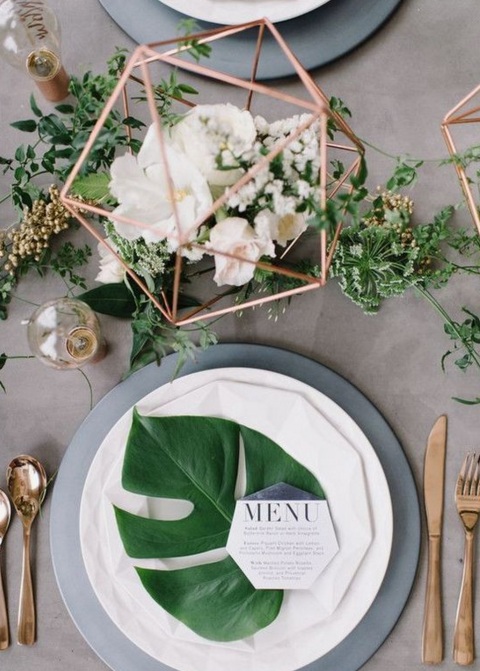 Wedding colour scheme inspiration, decor ideas and DIY tips for all things foliage and metallic. 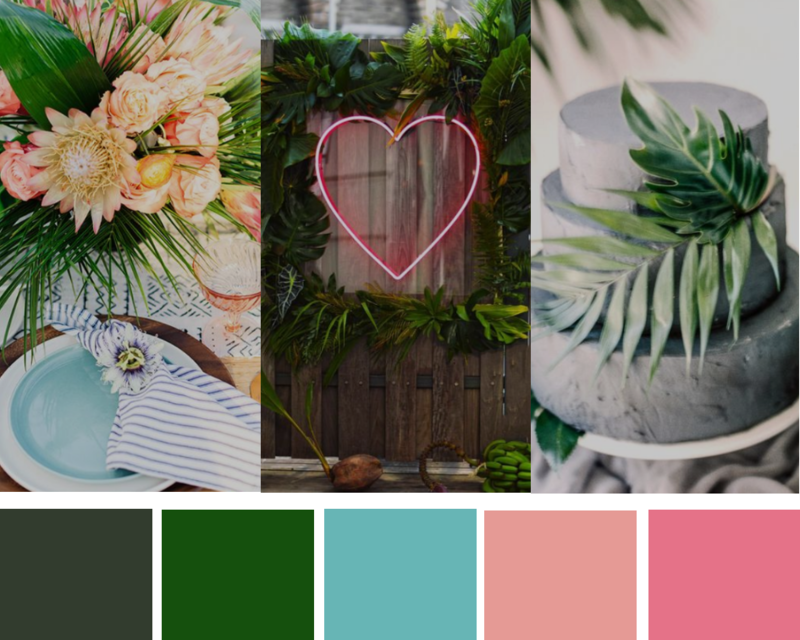 Make your wedding a beautifully ambient jungle and get crafty in the process! 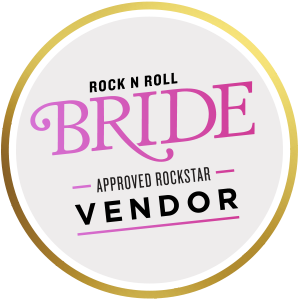 Now available with each bespoke wedding and engagement ring! 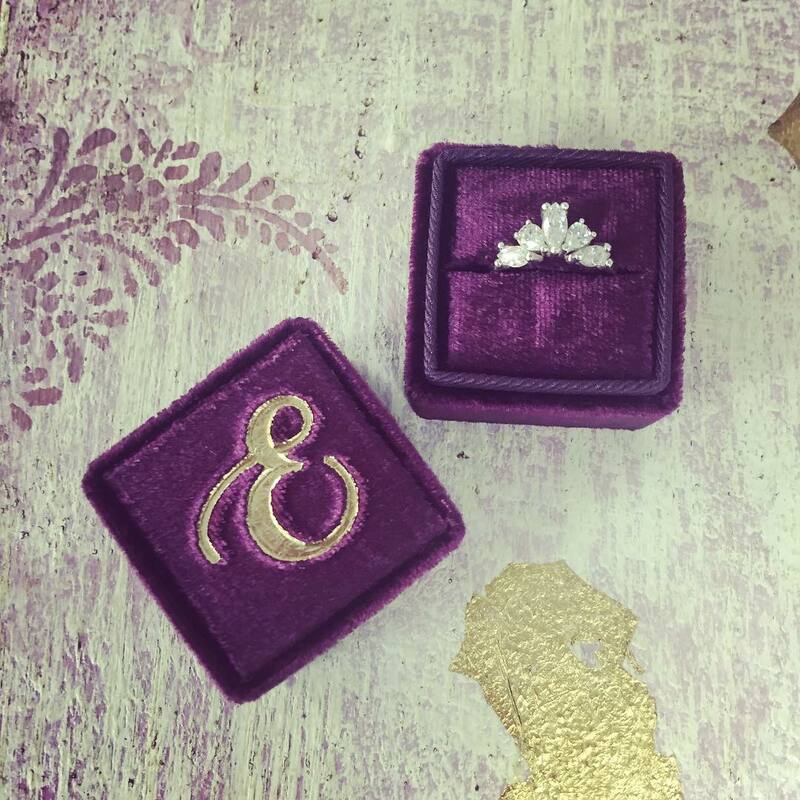 Your very own handmade monogrammed vintage style ring box with gold foil detail! Just beautiful, with 24 colours to choose from! 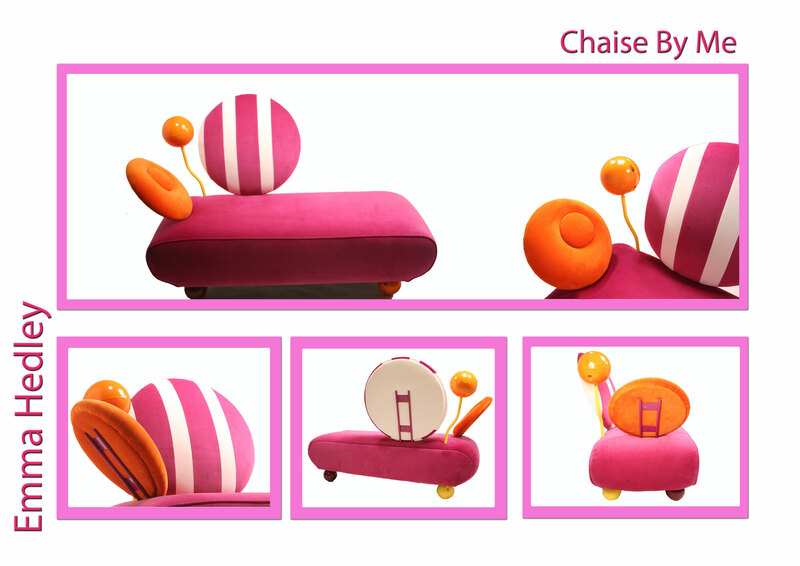 I made this Chaise Longue as the final piece for my degree show in 2007 at The University of Central Lancashire. Starting the final year of the course with my 9 week old baby boy! Inspired by the playful Memphis design movement, it now lives happily in our studio where we enjoy the occasional power nap.